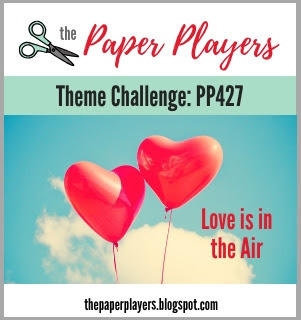 This week The Paper Players have a theme challenge and it's all about love. My 25th wedding anniversary is Tues Feb.5th so it's an easy theme for me this week! My card is definitely not your traditional love card! My husband (yes, my husband) is a HUGE fan of the Frozen movie and has a huge collection of Frozen stuff in his man cave. Our 2 mini dachshunds are named Elsa and Anna, I mean c'mon now LOL When I saw that Isabel Cristina recently added the digital set "Winter Princess" to her Etsy shop I just had to get the set so I could make cards for hubby and our anniversary was the perfect opportunity. 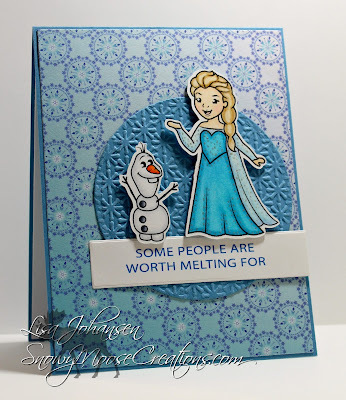 I used the sketch from last weeks Paper Players challenge for my card. My paper is from a Frozen Paper Stack I got at Walmart, I think. I die cut a circle from Marina Mist and then embossed that with a snowflake pattern. 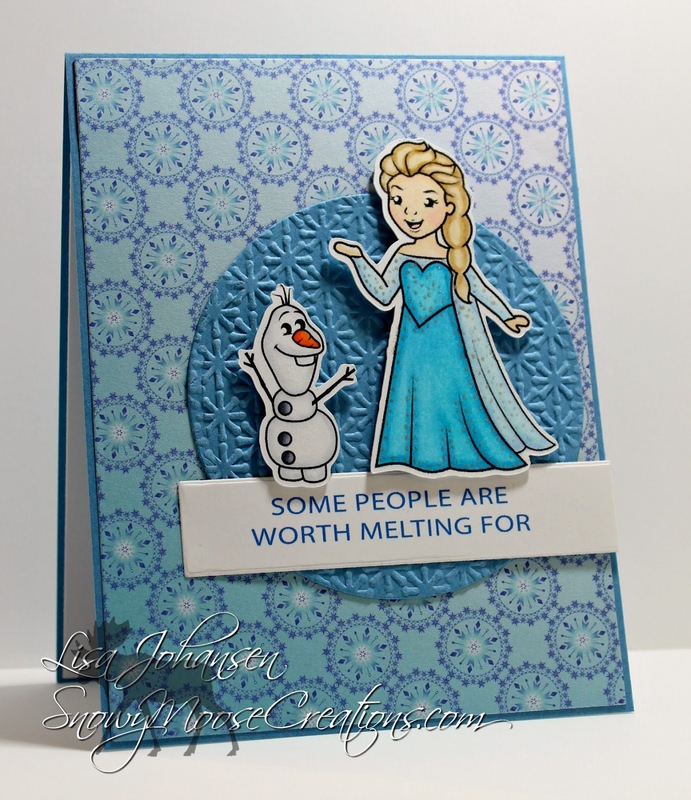 I colored Olaf and Elsa with my copics and added Wink of Stella all over both images. I also used my silver gel pen to add some sparkle to Elsa's dress. I printed out one of the sentiments from the digital set, adhered that across the circle and then popped up the images with dimensionals. Now that’s one fun and perfect to you Valentine’s card! How cute for your hubby! So cute Lisa! Your coloring is beautiful on those sweet images and the mix of pattern and texture is lovely. I’m sure your husband will love this special card, for sure. How fun that your dogs are named Elsa and Anna! Too cute! Thanks so much for joining us this week over at The Paper Players!